Sean PecknoldWe’re a week out from the release of one of the most-anticipated records of the year – Helplessness Blues by Fleet Foxes – and as has become commonplace, the album is available to stream a week before it goes on sale at NPR. A couple of listens in and all the key ingredients that made the debut a smash are still in place: Robin Pecknold’s otherworldly voice, the ridiculously lush and immaculate harmonies, the blankets of reverb imported from some Pacific northwest mountaintop, but Blues also sounds more confident and dynamic than its predecessor, perhaps a sign that the songwriting is now more up to par up with the immense musical talents of the band. I liked but didn’t love Fleet Foxes and am cautiously confident that I’ll like the new record more. I am certain, however, that they won’t alienate any of their fanbase with it. Exclaim and Spinner have conversations with Pecknold, the former about the process of writing the new record and the latter about the general awfulness of Myspace. Meanwhile, over at We All Want Someone To Shout For has a session the band played for BBC Radio 1 last week available to download and if you like Fleet Foxes but hate their songs, You Ain’t No Picasso has collected a decent-sized archive of covers they’ve performed. Fleet Foxes are at Massey Hall on July 14. Yours Truly has got a video session with The Head & The Heart which I’m sure is great, but can’t watch to confirm since it’s restricted to the US only… but they’re working on it, I’m told. In the meantime, read this interview at LAist. Prefix talks to Charles Bissell of The Wrens about the state of their new record which will not actually be called Funeral and should be out someday. Maybe. Wilco’s Jeff Tweedy talks to both Spin and Rolling Stone about their new record which may but probably won’t be called Get Well Soon Everybody and may be out come September. Know what would be awesome? If Tweedy gave completely contrary information to both publications. But he didn’t. More certain, as Exclaim reports, is the first release on the band’s new dBpm label – a 7″ single due out sometime in July A-sided by new song “I Might” and backsided by a cover of Nick Lowe’s “I Love My Label”. NPR has a World Cafe session with Bright Eyes. Spinner, Paste and Clash talk to Steve Earle about his just-released new record I’ll Never Get Out Of This World Alive, acting and the Gulf of Mexico (song and region), respectively. He also sets up behind a Tiny Desk for NPR. Earle is at the Molson Amphitheatre on August 20. PopMatters catches up with The Thermals on tour in Germany. PO Box 607 gets to know Anna-Lynne Williams of Trespassers William about a new solo record coming out as Lotte Kestner and her new label Saint-Loup Records. Blurt profiles Buffalo Tom while Bill Janovitz contributes a piece on being both rocker and realtor to Boston Magazine. PopMatters tries to extract an interview from J Mascis. The Chicago Tribune talks to The Pains Of Being Pure At Heart. They’re at The Opera House on August 2. 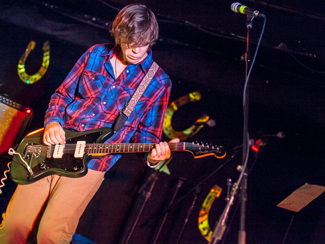 Comic artist and musician Jeffrey Lewis is in town for the Toronto Comic Arts Festival and will be whiling away the evening by playing a solo show at The Dakota on May 8, tickets $10 at the door. Back for like the third time in less than a year, Robyn is back on June 3 with this past Winter’s tourmate Diamond Rings in tow and they’re playing an actual new venue in Toronto. It’s called Echo Beach and it’s an approximately 4000-capacity general admission outdoor venue at Ontario Place, on the water, not far from the Molson Amphitheatre but far away in time. Tickets for the show are $39.50, on sale Friday. New York’s Gang Gang Dance will have a new record out in Eye Contact on May 10 and be at The Horseshoe on July 10 to support. Agency GroupA decade ago, before there were really such things blogs but the MP3 existed, there was Epitonic. Easily the best site online for researching, discovering and hearing new and independent acts, it was a treasure trove of great things to hear right up until it was shut down in 2004. By that point there were many other avenues for sampling music via downloadable files – you’re on one right now – but the breadth and organization of Epitonic was missed. So it’s more than great to see that they’ve returned with the same mandate and they’ve come bearing gifts – including a new track from everyone’s favourite prodigal band, The Wrens. They were last heard from, as far as records go, at about the same time Epitonic went dark so hopefully the site’s return will apply some pressure to them to get the new record – in process for years and years – finished and out. I thought that they were close when they started issuing recording dispatches in early ’09 and even played some shows at SxSW that year, but there’s still been nothing released. Their booking agency says they’re available for Spring and Summer 2011 headlining dates, though, so maybe…? Come on guys, 10 more songs and you can go back to hiding for another decade. Either way, at least Epitonic is back. The Battles show announced last week in support of new record Gloss Drop will be happening at The Mod Club on April 29, and not The Horseshoe as originally reported. Tickets are $15. The Felice Brothers will be at Lee’s Palace on May 12, just a couple days after their latest album Celebration, Florida is released, tickets $17.50. Sharon Jones & The Dap Kings are back in town on May 12 for a show at the Sound Academy. The Pensicola News Journal has an interview with Jones. Jason Isbell & The 400 Unit have set a May 22 date at The Horseshoe Tavern in support of their new record Here We Rest, out April 12. Maria Taylor will support. Explosions In The Sky have released the first MP3 from their new record Take Care, Take Care, Take Care, due out April 26. Austinist and Austin 360 chat with Will Sheff of Okkervil River about their new record I Am Very Far, due out May 10. There’s also a video session and interview at Rolling Stone and the first official MP3 from said record is now available. They play The Phoenix on June 10. Fender Guitars has a chat with proud users of their products Ume. 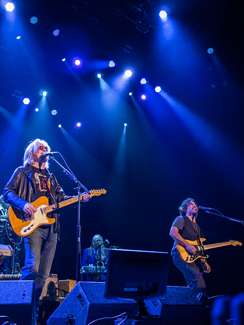 The AV Club talks to Lucinda Williams. 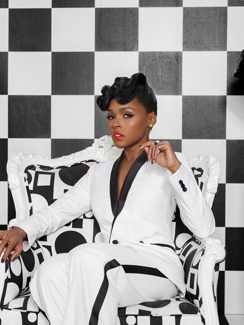 NOW‘s CMW cover story is Janelle Monáe, who headlines The Indies at The Royal York on Saturday night. The Huffington Post talks to Mike Mills of R.E.M.. Another new video from Collapse Into Now has gone up and as a bonus, an official live studio performance clip is up at Fluxblog. NPR is streaming a World Cafe session with Of Montreal. They’re at The Phoenix on May 3. The Vinyl District, Rocky Mountain Collegian and NPR talk to Wye Oak about Civilian. They are at The El Mocambo on April 9 and their show in DC tonight will be streamed live on NPR. Pitchfork reports that The Antlers have set a May 10 release date for their new record, which will bear the title Burst Apart. The New York Times have a feature piece on The Strokes. Angles is out March 22. The Pains Of Being Pure At Heart are streaming the whole of their new record Belong on their website, well ahead of its March 29 release. The National have released a new video from last year’s High Violet, starring Flight Of The Conchords’ Kristen Schall and Mad Men‘s John Slattery. Black Book also has a video session with the band. Faster Louder meets The Hold Steady. NPR is streaming a KEXP radio session with The Jayhawks, Denver Westword talks to Mark Olson and Jambands to Gary Louris. Blurt has a feature piece on DeVotchKa, who are in town at The Mod Club on March 30.